With Cyber Monday memory discounts, there's no more excuse for just sticking to 8GB, or even 16GB. 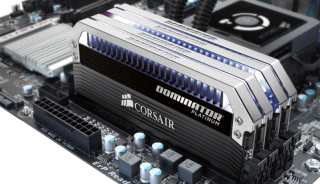 Here are all the RAM deals we found that are worth considering this Cyber Monday. Also worth noting that it's better to get a larger single kit than two smaller kits for the same total capacity. This is because kits are binned from manufacturers to guarantee same timings. G.Skill Aegis 32GB (2x16GB) DDR4 2133: $140, Newegg. This is a great kit from G.Skill and 32GB we think is a great sweet spot for any new gaming rig. Also makes for a great upgrade if you're moving beyond 16GB.